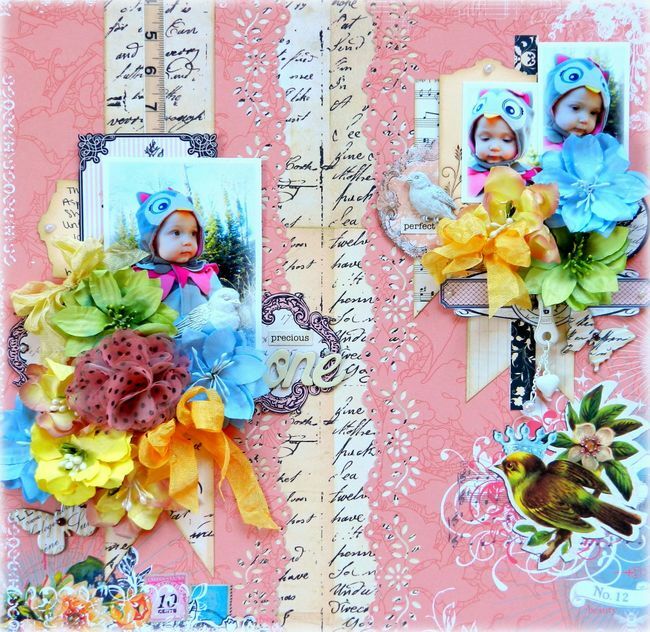 Erin Blegen: My Scrap Cabin: All About Color: Manor House Creations~! Hey everyone~! I hope your weekend is going great :D~ I had to take my daughter into the Emergency Room this afternoon and thankfully all is well- but it's always tough when the kids are sick :(. However, I'm really trying to just SLOW down this upcoming week as Christmas is my favorite holiday and I'm just not ready for it to be here...and then be over :(. So many projects I want to do with the kids, so many more things I want to bake, so many more nights I want to spend just staring at the Christmas lights :). But today I have something to share with you that speaks not of winter, but of spring, and is bursting with Manor House color~!! I loved picking out the tropical shades in my flower batch and putting this layout together for my little Aspen in her adorable Halloween costume this year :). The new Spring Collection is just BURSTING with fresh, happy colors! 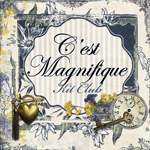 C'est Magnifique has some of the *NEW* Spring Collection flowers now in the store! But they're selling out fast- so go get some before they're gone, and grab some of the other delicious Manor House stock while you're there :)~! This is such a pretty page, these colors are amazing and the photos are just adorable!!!! Can't wait to see you again, very soon! This is so pretty!! it all matches perfectly!! love the new flowers and you've used them beautifuly! Hi.. I do not think this could be any cuter then it is.. love the bright vibrant colors and the flowers are amazing, and such sweet photos.. this has brightened up my day!! Wow, totally amazing lay-out! The colours are just amazing and those photos are really sweet. You are rocking the multi pics at the moment. Love how you picked up the colours in the photos with the colours in your page. Gorgeous as always Miss Erin, adore the colors and layering!! Beautiful layout as always! So bright and colourful! This layout is just so pretty! I love the script writing peeking through the diecut borders as well as the flower cluster and zipper pull. I know exactly how you feel about this time of year. So much to do while I just want to sit and enjoy this favorite time of year. Those colors are amazing! Such beautiful spring colors...love the ribbons :) Such sweet pics of your baby girl! Sorry to hear that Aspen had to go into the ER, Erin!! We almost had a trip this week too, with Emma and dehydration. Fortunately, we were able to start getting fluids in her. These are such adorable photos of Aspen and the colors are amazing!! I LOVE the Pink background with the pops of Blue and Yellow! Really gorgeous work, Erin! Erin - this is so very delicate and beautiful - gorgeous work!!! Wow stunning use of colour and design. Beautiful layout Erin! Erin this layout is gorgeous....so soft and ethereal!! This is just soooooooooooooo pretty! 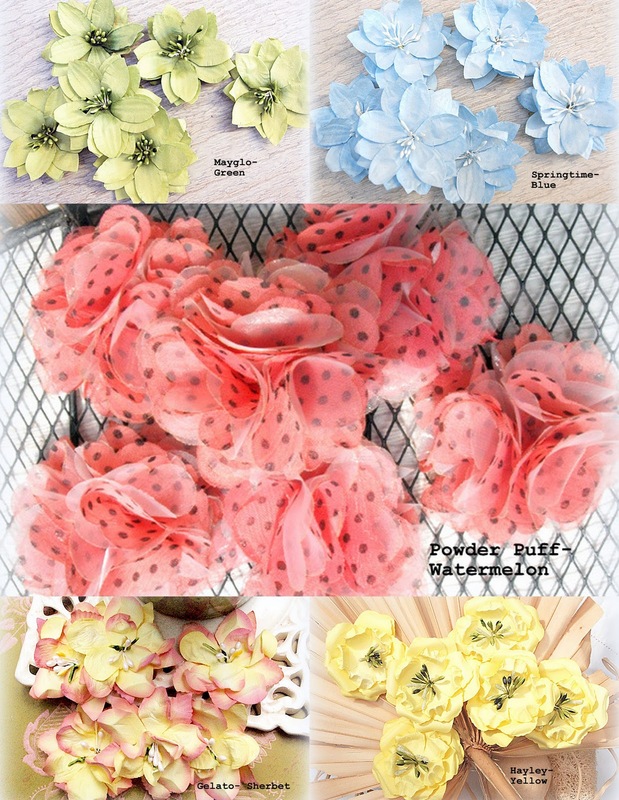 Love how you've used those beautiful flowers!